Funeral Plans for expatriates living in Spain. This subject is not something anyone wants or even thinks of talking about, but planning your funeral is a thoughtful way to show that you care about your family. Spanish Property Choice by no means profess to be experts in this matter, but we know a man who can! There are very important differences between a funeral in the UK and one in Spain. For example, here in Spain a funeral normally takes place within 48 hours of the time of death. One can only imagine the pressure this can put on grieving relatives who may have no idea who to call, how to register a death, and may have to travel long distances to get here to Spain. The language difference can be a serious barrier in itself, if your family or friends are not fluent speakers of Spanish, organizing a funeral can be really difficult. There are also the added issue of the host of complex European regulations and red tape which your family would have to deal with. We can help by removing a huge amount of unwanted and unnecessary stress. Call us today on 0034 950 615 388 or 653 722 290 and we will get David to contact you straight away. David is an authorized agent who deals with the whole process for you. He can arrange an appointment to meet with you or discuss over the phone the services he can provide to protect you and his family. David will advise you about the benefits of a funeral plan to absolutely make sure that everything is sorted out and the funds are in place well before you pass away. The funeral Plan does not just cover you for your death in your country of residence. 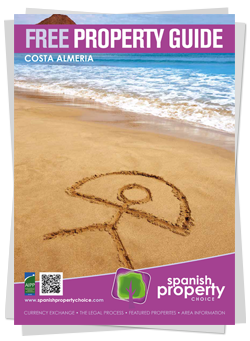 If you have bought a property in Almerá and presently reside here in Spain, your plan will automatically have a twinned UK set of arrangements set up for you at the time of original purchase at absolutely no additional cost. Obviously depending on where you normally reside, the purchase value of the services can either be utilized to fully pay for services in the country of death, or can be contributed to the total cost, with the remainder required to be paid at the time of need. What if I want my body to be taken back to the UK? Most expiates choose a plan that assumes their funeral will take place in their country of residence. But if you’d prefer to be repatriated and to have a funeral on your home soil, David has a funeral plan specially designed to facilitate this. The company David represents is the only funeral pre-planning company to voluntarily apply exactly the same strict regulatory restrictions to its operations in Europe as it does to all of its activities in the UK. This includes a strict code of conduct covering advertising, selling, the administration of your Plan and the way they protect your funds. So your funeral plan is secure and the funds are secure. 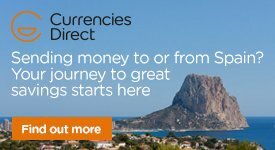 So if you need any further information on this service or would like a general chat with David then please email:country@spanishpropertychoice.com or call 0034 950 615 388 NOW!